Click on the logo below that matches your browser (internet program) for detailed instructions on how to download a pdf from our site. Most of our downloadable pdf's are found either in the FAQ page or the FREE Products page. When you select a pdf file, it will open inside the browser. If you want to save the PDF to your computer, you must locate the download option on the bottom of the page. (see image below) Select the circled disk image on the left and choose where you want to save your new download file. Most of our downloadable pdf's are found either in the FAQ page or the FREE Products page. When you select a pdf file, it will open inside the browser. If you want to save the PDF to your computer, you must locate the download option on the upper right side of the page. (see image below) Select the circled disk image on the left. Automatically it will save to the folder selected in options on a pc or preferences on a mac (see below for more information on that folder selection). 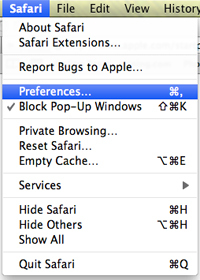 PC: In the Tools dropdown menu, select Options. 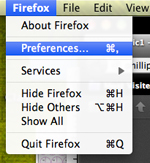 Mac: In the Firefox dropdown menu, select Preferences. Locate the Save downloaded files to menu. Note the folder location to find your downloaded pdfs in or select a new folder you would like to save your downloads to. Most of our downloadable pdf's are found either in the FAQ page or the FREE Products page. When you select a pdf file, it will open inside the browser. If you want to save the PDF to your computer, you must locate the download option the lower right side of the page. (see image below) Select the circled disk symbol on the right next to the printer symbol. A popup window will appear at the top center of the page, name your document and select the location to save your file. Most of our downloadable pdf's are found either in the FAQ page or the FREE Products page. When you select a pdf file, it will open inside of the browser. 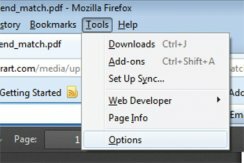 If you want to save the PDF to your computer, right click on the pdf and select Open with Acrobat (or your available PDF reader). (see image below) Your file will automatically be downloaded and saved to the download folder selected in Safari's Preferences. (See below for more information on that folder selection). Locate the Save downloaded files to menu. Note the folder location to find your downloaded pdfs in or select a new folder to save your downloads.